They were introduced by Criss Angel. Their "Radioactive" became the inescapable hit of the year, prompting eye-rolls from anyone who turned on the radio. Yes, that basically makes Imagine Dragons the Nickelback of 2014. That said, as the Billboard Music Awards proved, the group puts on one helluva show. 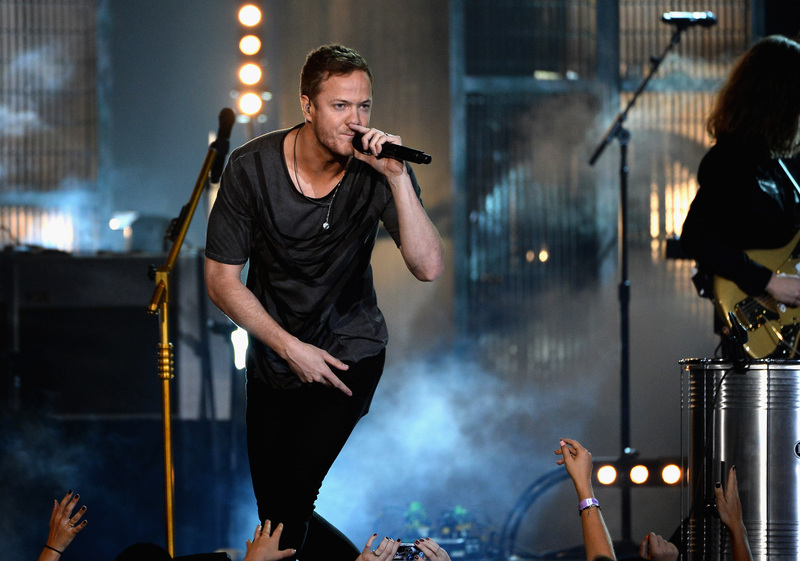 Imagine Dragons were at the 2014 Billboard Music Awards not only to make their requisite awards show appearance and pick up an award (for Top Rock Album), but to also pick up the energy with a performance of "Tiptoe." Yes, that's right — a performance of a song other than "Radioactive." That enough was worth all the confetti dropped on stage. Still, no amount of snark can deny that Dan Reynolds & Co., know how to pick up a show — especially one as ho-hum and unimportant as the Billboard Music Awards. (That said, our girl Iggy Azaela definitely got things started with her performance of "Fancy.") Heck, we're talking about a band that managed to be the highlight of the Grammys with their paint-hued performance of "Radioactive" with Kendrick Lamar. So, I suppose what I'm saying is — say what you will about Imagine Dragons, kids. Yes, they're overplayed. Yes, they hardly measure up to alternative rock acts of the past like Green Day and Red Hot Chili Peppers. But, damn, can they perform.